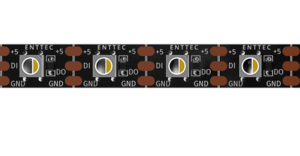 Enttec has created a bunch of new options to assist with networking and LED tap/pixel mapping control. 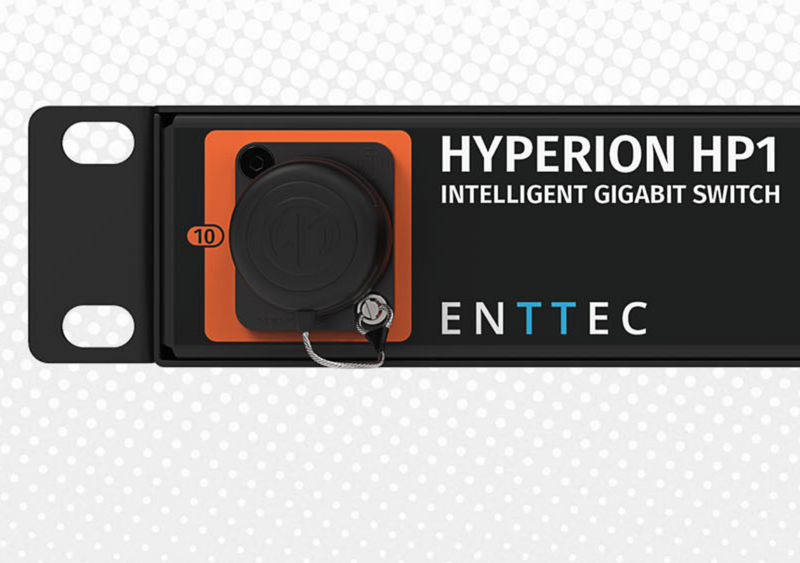 First up, is their new Hyperion HP1 intelligent gigabit switch. Designed to be a simple plug and play rack mountable network switch that can be easily integrated into almost any system. 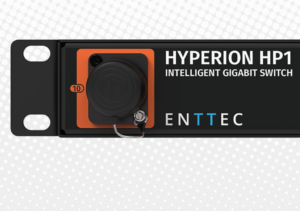 With 6x front etherCON connectors and 2x rear connectors, the ability to easily configure, and ability to prioritize professional lighting protocols this switch has it all. Next up, is their new Pixel Port unit. 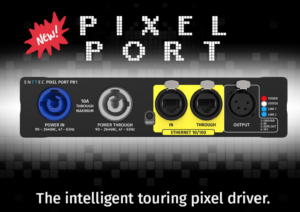 Designed to be a more portable an all in one unit that you can build into your set pieces so that you can get control/power to your pixel controllable LED tape. 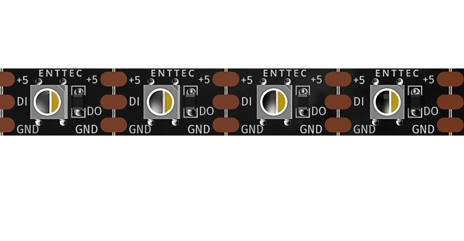 Each unit has a powerCON in & thru, etherCon in & thru, and 4 pin DMX output. Finally, we thought this was neat, if you ever wanted LED tape on a black background, Enttec can hook you up as all their tape comes on both black & white ribbons now. The black ribbon blends in a lot better if you wanted to make it disappear on a dark surface! 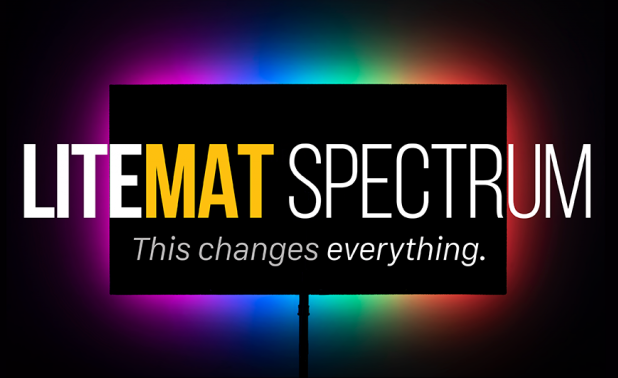 Further expanding on the popular LiteMat, LiteGear introduced their LiteMat Spectrum. It can accurately reproduce any shade of white that the camera considers correct. That can be anywhere between 2,000K and 11,000K with +/- 8 points of tint correction. LiteMat Spectrum can also augment its white light with color accents. Saturated color can be delicately added with 100 shades of depth. LiteMat Spectrum can also improve post-production workflows.